Refer your friend or coworker who matches one of our current jobs. We find your friend their dream job. 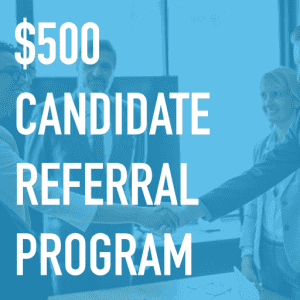 You receive a $500 check in the mail and a big thank you from your friend! After 90-days of successful employment. See program bonus flyer for more details or call 877-366-3605. South Florida IT Staffing & South Florida Staffing Group confidential referral form. |*Note: Please only refer candidates that you feel would strongly consider a career change at this time. Would you prefer this referral remain confidential? -If so, we will not divulge your name as the referring party. What is the name of the South Florida Staffing Representative you are working with? 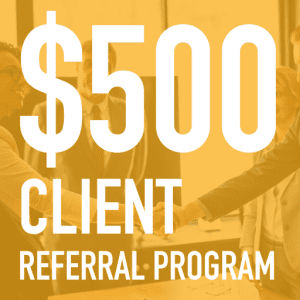 Do You have any additional Referrals? 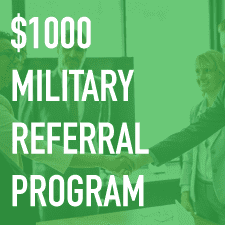 Please add any additional information that you think would be helpful in considering Your Referral.